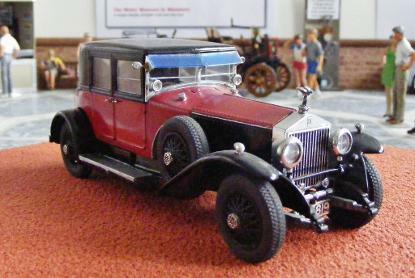 The legendary Silver Ghost was followed in 1925 by the various Phantoms (I, II, III.) although the Ghost was still available to special order. 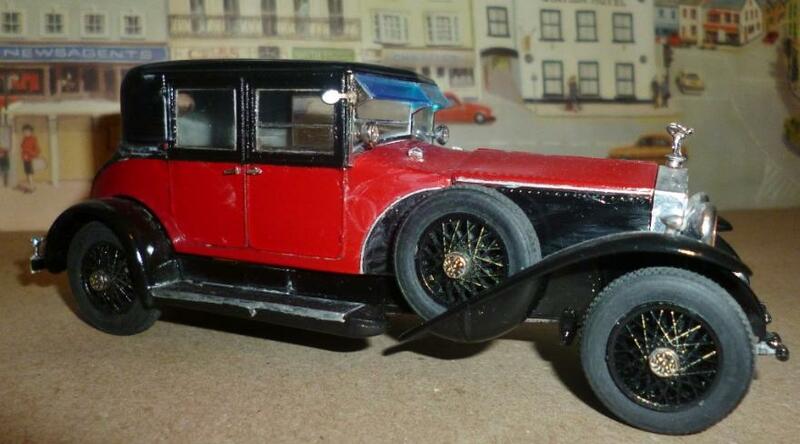 Our Model is of a Phantom I car supplied to Diamond Magnate Otto Oppenheimer on 1st May 1928. 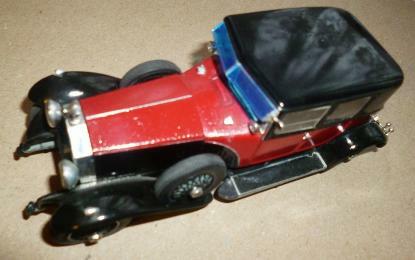 The headlamps were by Stephen Grebel with Barker patented dipping mechanisms. All interior and exterior fittings were silver plated with ivory fixtures to some. 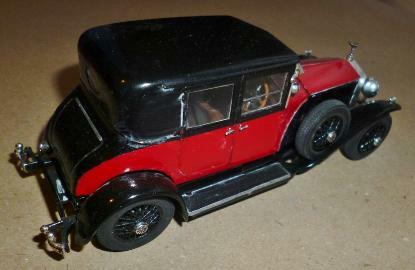 Known as ‘The Black Diamond’ the car had a secret compartment for the safe transportation of Diamonds. Spirit of Ecstasy For the first 7 years Rolls-Royce had no mascot. Then around 1910 a craze started for mascots. Two notable examples were ‘Gobbo the lucky Imp’ and a propeller. Rolls-Royce were dismayed. The mascot appeared first in 1911 on the Silver Ghost. The figure was modelled by Charles Sykes, notable artist of the time, at the suggestion of John Scott (later Lord) Montague The model is widely believed to be Eleanor Valesco Thornton, a favourite model of Sykes. 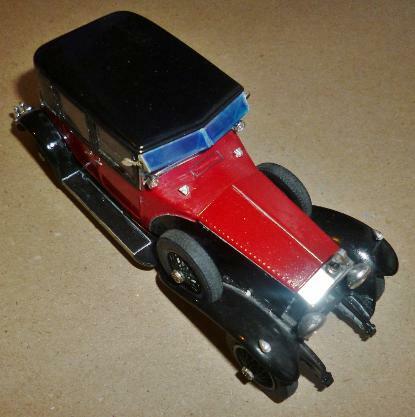 This kit # PK-452 was released by Matchbox in 1982 and was the subject of a re-release, of Chinese origin, in 1995; long after Matchbox went out of the plastic model kit business. 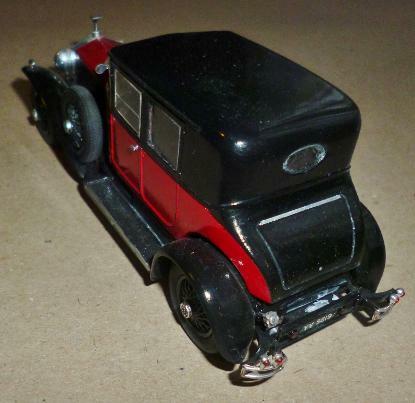 The kit is typical of Matchbox car kits in that it has a lot of details, some of them rather fiddly to work with, and is moulded in several colours of plastic. 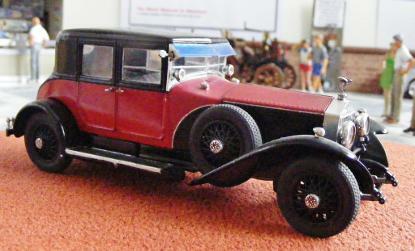 With a little patience Matchbox kits build into really nice models and are a great basis for superdetailing. 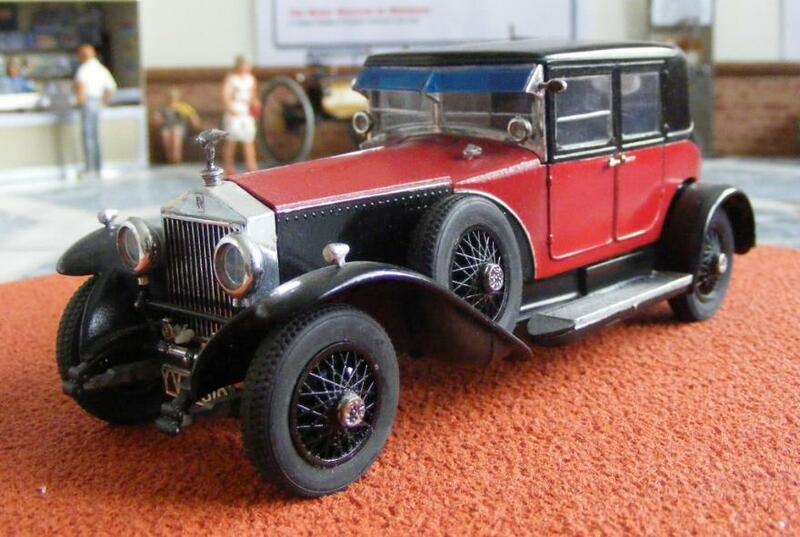 Revell released the kit #00014 under their own brand in 2009 so it is out there again for modellers to build without having to pay the inflated prices of the collectors market. 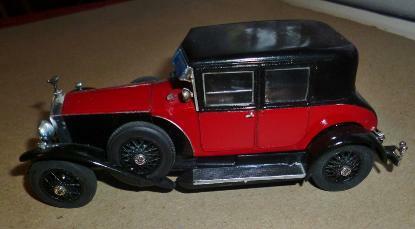 Built in November 1995 This model is painted with Halfords acrylic car spray paints. Detail painting is done with Humbrol enamels and Humbrol and Revell acrylic paints, all applied by brush. the Blue sun screen is from an old photographic filter material, otherwise the model is built straight from the box.